Starting career training is a life changing goal and Omega Studios’ School recognizes and appreciates the many decisions associated with that choice. To assist you in making the most of this opportunity, Omega provides an annual reminder of the student consumer information. You initially received this consumer information at or around the time you enrolled. For your convenience, Omega School has posted its consumer information on its website (https://omegastudios.com/consumer-information) and the school catalog. If you have any questions about this summary, please feel free to contact Denise Konecny, Director of Financial Aid. Omega School’s catalog provides general information about its accreditations, facilities, history, faculty and staff, Admission criteria/processes, academic standards (grades and attendance), programs and associated costs, procedures to officially withdraw, refund policies (federal and state), financial aid services, services for disabled students, placement assistance, code of conduct, policies on drug and alcohol, granting credit for previous training, and graduation criteria. Additional consumer information is available on our website (https://omegastudios.com/consumer-information) such as student diversity, copyright infringement policy, annual campus security report, drug and alcohol report, cost of attendance, student loan professional code of conduct and others. You may obtain hard copies or a CD of the school catalog from Steve Goldstein, Director of Admissions. Hard copy of other consumer information materials may be obtained from Denise Konecny, Director of Financial Aid. Assists with estimated costs to attend Omega School specific to your situation. Provides a variety of information requested by and reported to the National Center for Education Statistics. Omega Studios’ School advocates a Drug-Free environment. The unlawful possession, use, or distribution of illicit drugs and alcohol by student and employees on school property, in the school vicinity, or as part of any school activity is strictly prohibited. In addition, students may not have any weapon in their possession while attending Omega Studios’ School. Violation of any of these rules my lead to immediate termination. The Drug and Alcohol Policy can be found in the school catalog or at https://omegastudios.com/drug-alcohol-policy. For more information pertaining to penalties associated with drug related offenses, please visit https://omegastudios.com/penalties-associated-drug-related-offenses. Omega School is committed to providing a safe campus environment. The Annual Security Report includes school policies that address issues such as crime prevention, sexual assault, dating and domestic violence, stalking, and other matters. The report also reveals the type and number of occurrences of specific crimes reported to the school taking place on campus and surrounding areas over the past three years. A hard copy of this report may be obtained from Jeff Girdler, Director of Administration or by visiting https://omegastudios.com/campus-security. Personal safety is important to everyone and must be respected. Omega School strives to provide an environment free from sexual, racial, age-based, religious, ethnic, disability and other forms of legally impermissible harassment on any individual. For a hard copy of the Title IX presentation given at orientation, please see Denise Konecny, Director of Financial Aid. Title IX Coordinators at Omega School are Denise Konecny (Director of Financial Aid), Mark Dulski (Registrar), Edward Petersen (School Director) and Jeff Girdler (Director of Administration). As part of its efforts to help students and families afford their education, Omega Studios’ School provides students and families with information pertaining to, but not limited to: federal, state, private, and institutional student financial assistance available to student who enroll; need based and non-need based federal aid available to qualified Omega students; terms and conditions of federal and institution loan programs; financial aid (federal and institutional) application processes; initial eligibility and continuing eligibility criteria to receive federal aid; federal rights and responsibilities; truth in lending disclosures; awards; method, timing, and criteria for disbursement; satisfactory academic progress; outcomes of unsatisfactory academic progress; appeal processes; reinstating eligibility; entrance and exit counseling; lender and servicer information; federal repayment plans; and estimation of monthly payment amounts. Financial assistance information is available in the school catalog and at https://omegastudios.com/federal-financial-aid. All questions pertaining to financing should be directed to Denise Konecny, Director of Financial Aid. Omega Schools reports completion, graduation and retention rates as required by federal, state and accrediting bodies. This information is provided to prospective students and current students each July. Hard copy of the Student Right to Know disclosure may be obtained through Admissions and/or the Director of Administration. Student Diversity information is available on our website https://omegastudios.com/student-body-diversity. Omega Studio’s School encourages all student to register to vote and to exercise their rights and responsibilities in the democratic process. Links to Maryland and surrounding state’s voter registration information can be found at https://omegastudios.com/voter-registration. 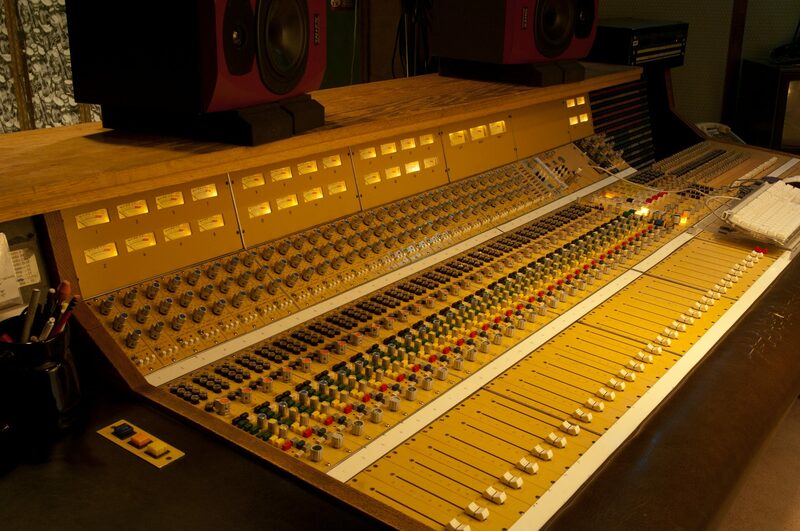 The Omega Studios’ School of Applied Recording Arts and Sciences does not discriminate on the basis of race, color, religion, national origin, gender, sexual orientation, handicap or age, in admissions, or access to, treatment, or employment associated with its programs and activities. Inquiries may be directed to the School Director at the address and telephone number located herein. The School’s Nondiscrimination policy is printed in the school catalog and posted to https://omegastudios.com/non-discriminatory-policy. Constitution Day and Citizenship Day is a federal observance that recognizes the adoption of the United States Constitution. It is observed on September 17th, the day the U.S. Constitutional Convention signed the Constitution in 1787. Omega Studios’ School joins in the celebration of this momentous day by presenting various activities for its students each year. Please visit our website https://omegastudios.com/constitution-day-citizenship-day. For more information or answers to questions, please contact Denise Konecny, Director of Financial Aid or Jeff Girdler, Director of Administration.